"They was really buddies. 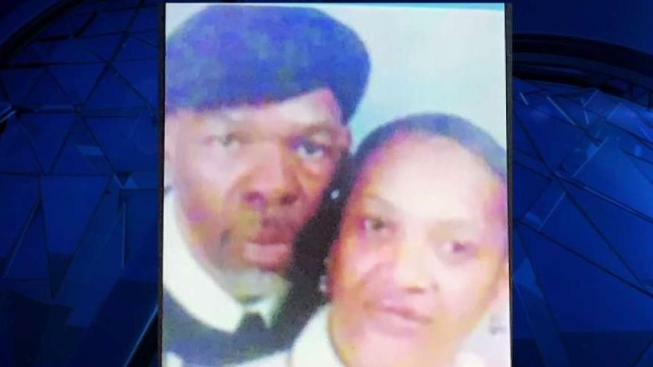 What I'm thinking is, she might have taken some food, something like that, from him"
A Southeast D.C. woman was mauled to death Sunday by her family's dog. On Monday, her stunned husband spoke with News4's Darcy Spencer. Robert Frazier left home Sunday night for 15 minutes. When he came back, he found that his family's dog had attacked his wife. Angela Smith didn't survive the attack in her own home in Southeast D.C. She was 55. Smith was attacked by Kaine, a dog Frazier adopted from a relative eight years ago. The dog that D.C. police classified as a pit bull was mostly well-trained, Frazier said Monday, in apparent shock. Frazier said he wondered if his wife took food away from the dog and he snapped. "They was really buddies. What I'm thinking is, she might have taken some food, something like that, from him. And he's really aggressive like that. Maybe, just maybe, I think he reacted that way," he said. Frazier found his wife's wounded body. "I just left out the house. It was 15 minutes, and I come back, she was dead," he said, fighting tears. Medics responded to the family's house in the 1300 block of Dexter Terrace SE, a quick walk from the Anacostia Metro station, about 7 p.m. Smith was rushed to a hospital, but she died a short time later. Smith and Frazier were married less than two years, but they had been together for 20. Kaine growled and snapped at officers who put him into a van, video footage of the brown, muscular dog showed. He was later euthanized, a spokesman for the Humane Rescue Alliance said. Neighbors said they often saw Smith walk Kaine. They said they never saw him act aggressively. "Nobody foresaw that. Nobody. It's just a heartbreaking thing," neighbor Vincent Hawkins said. A Maryland woman was mauled to death by a recently adopted pit bull last month. The pit bull category of animals encompasses several breeds of muscular dogs, including American Staffordshire terriers, Staffordshire bull terriers and American bulldogs.